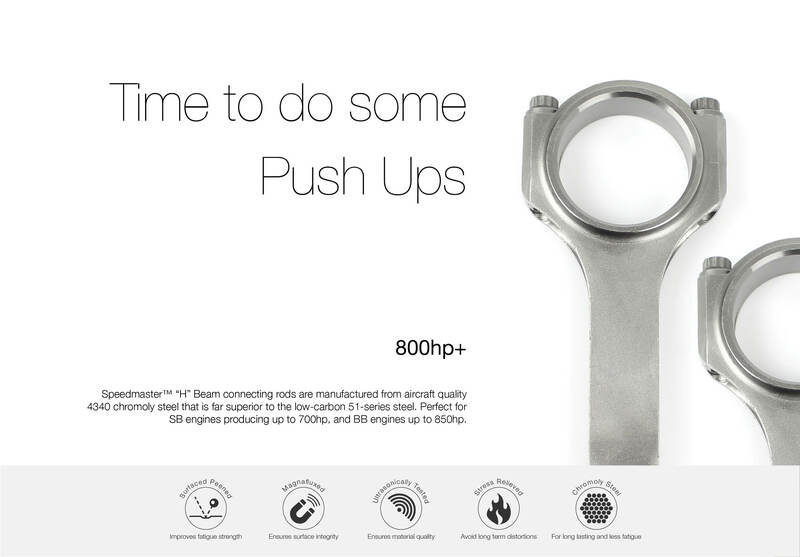 Speedmaster H-beam connecting rods are one of the strongest connecting rods available. Speedmaster H-beam connecting rods are perfect for supercharged and nitrous applications. These rods incorporate a special doweled cap for specific cap-to-rod alignment and are profiled with extra clearance for stroker applications. 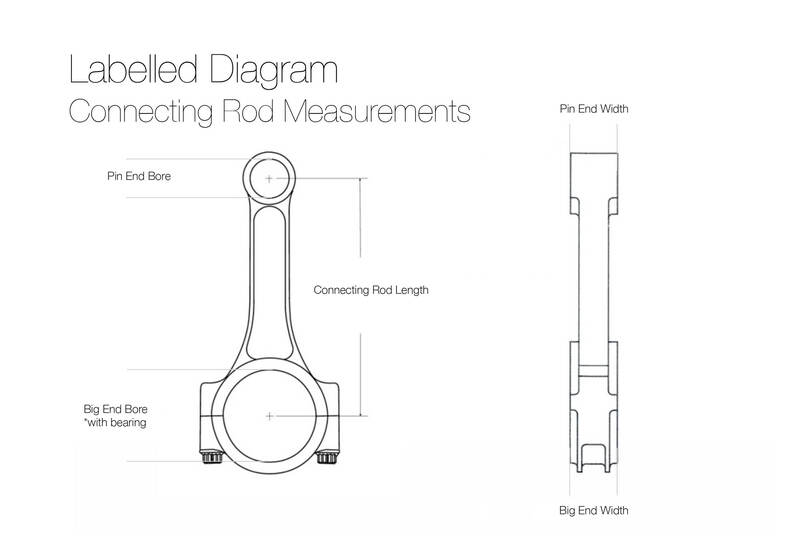 Connecting Rod Length Center to Center (in): 6.135 in. Pin End Bore Diameter (in): 0.990 in. Big End Width (in): 0.990 in. 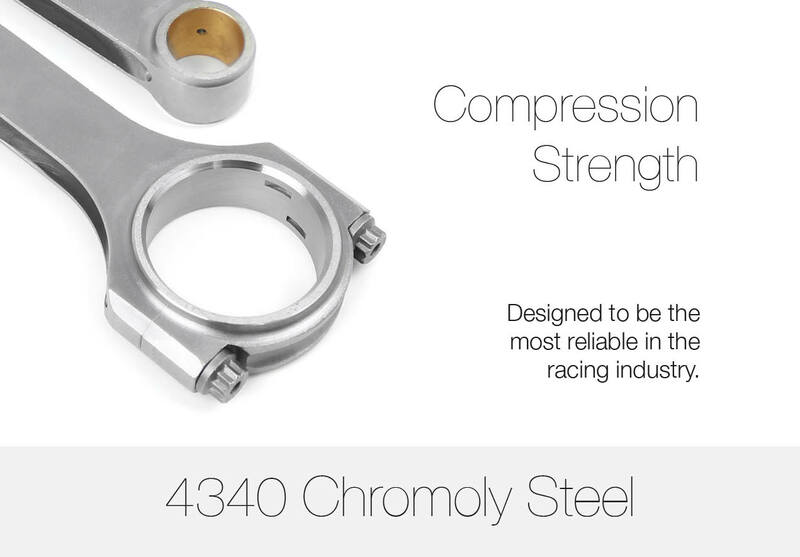 Speedmaster H-beam connecting rods are manufactured from aircraft quality 4340 chromoly steel. 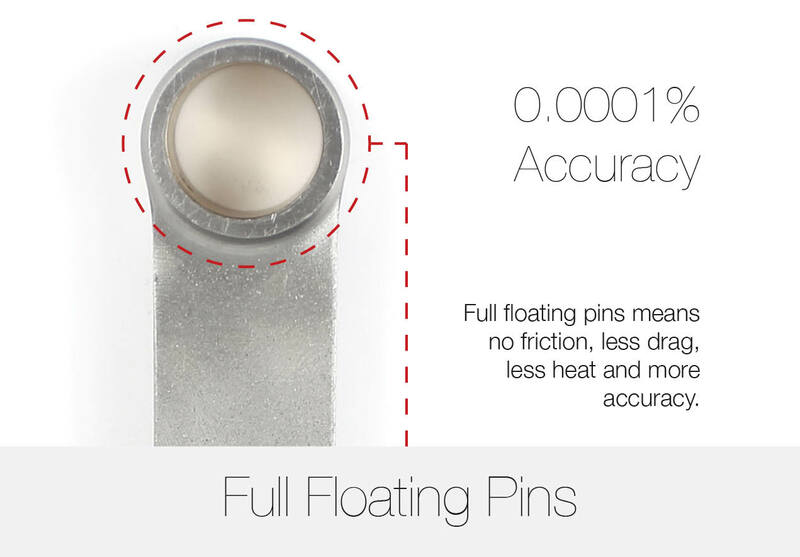 The rods are x-rayed and ultrasonically tested with all surfaces shot peened and stress relieved. 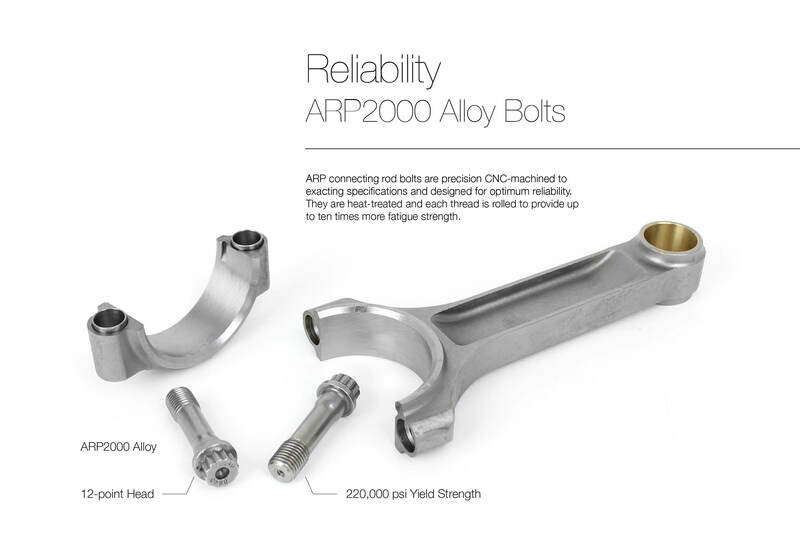 ARP connecting rod bolts are precision CNC-machined to exacting specifications and designed for optimum reliability. They are heat-treated and threads are rolled to provide up to ten times more fatigue strength. This makes them far superior to standard OEM fasteners in terms of durability, and fully capable of handling the extra stress of high-combustion engines.